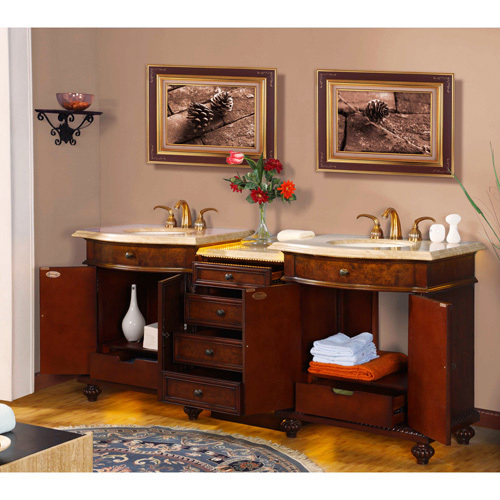 The Savena Wide Double Vanity features a lovely traditional style with modern LED lighting. Underneath the Roman Vein-cut Travertine top is an array of LEDs, which really sets this piece apart from other vanities. This version is much wider than the 60" version, providing plenty of counter space. This makes it perfect for the master bedroom. The LEDs make the bathroom easy to locate at night, meaning your eyes will not have to painfully adjust to bright lights. The cabinet features two double door cupborads for storage, and an additional four drawers. 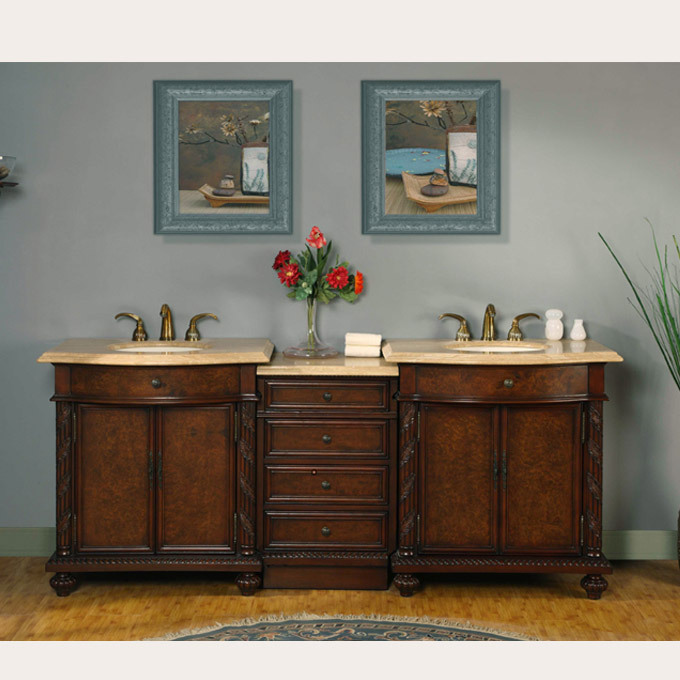 This LED vanity includes double ivory ceramic undermount sinks, and Faucets are sold separately.